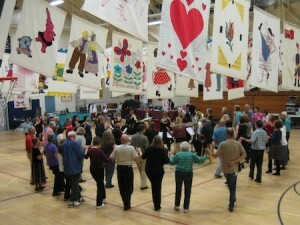 The Laguna Folkdancers will hold their 43rd annual festival on Feb. 1-3, at Ensign School, 2000 Cliff Dr., in Newport Beach. Christos Papakostas dances from Greece. The festival kicks off with a Friday a dance party at 7:30 p.m., workshops on Saturday and Sunday beginning at 9:30 a.m. and mini concerts preceding parties on Saturday evening and Sunday afternoon. 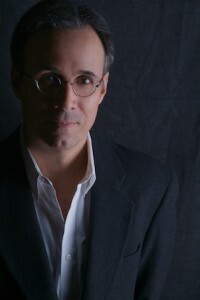 A tribute concert from the American songbook with songwriter John Bucchino at the piano is set for Sunday, Feb. 10, 7:30 p.m., at No Square Theater’s Legion Hall, 384 Legion St.
Bucchino will be teaching a master class to a dozen advanced student and professional singers, who will then be featured in the concert. Seating is limited. $20 tickets available at www.nosquare.org, $25 tickets may be sold at the door. For more info: 949-310-6955 or [email protected]. LagunaTunes will start rehearsals for spring season with full chorus meeting on Monday, Feb. 4 from 7 to 9 p.m. at Thurston Middle School, 2100 Park Ave.
For more information and full schedule of practices contact Angela Irish at 949-637-3140. Laguna Beach a la Carte, a four-day culinary celebration offering restaurant specials, prix fixe menus, and chef dinners presented by the Laguna Beach Visitors & Conference Bureau, takes place March 7-10. The signature event, an international wine and food festival, takes place Saturday, March 9, on the Festival of Arts’ grounds from 12:30 to 3:30 p.m. Guests will enjoy an afternoon of live music, and tastings from more than 20 Laguna Beach restaurants and 30 wineries from around the world. A portion of the event proceeds will benefit CHOC Children’s Hospital. Visit lagunabeachuncorked.eventbrite.com to purchase tickets. Visit lagunabeachalacarte.com for more information. Laguna Beach residents are invited to Mission San Juan Capistrano on Friday, Feb. 1 at a discounted price “2-for-1” price, 26801 Ortega Highway, from 8:30 a.m. to 5 p.m.